I just wanted to contact you to give you an update in relation to some incidents that have been happening on Kingswood. 1. ASB – We are continuing to receive reports of a group of both male and female youths causing some issues on the area mainly by throwing eggs at properties. This has been reported primarily on Bushey Park and we continue to try and identify members of the group involved. 2. 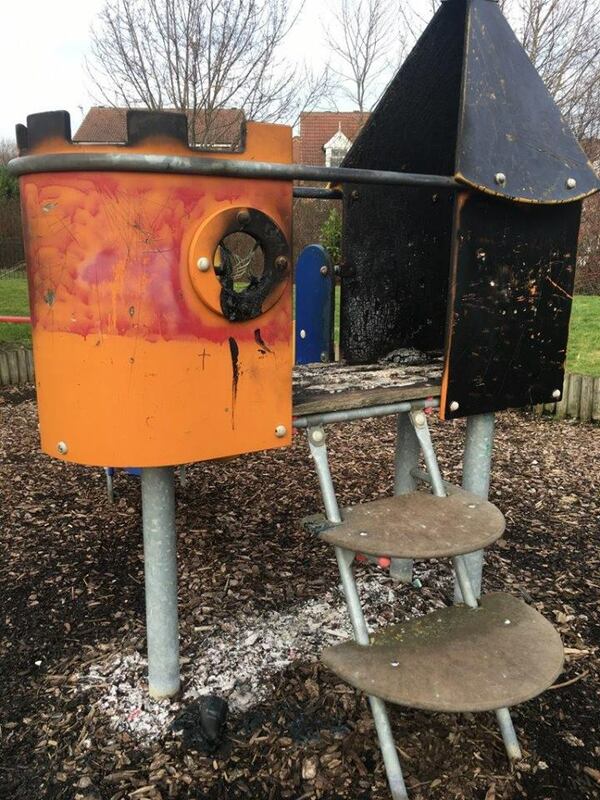 Criminal Damage – I have been informed by the council that we have also had damage to some of the play equipment within the park area at the bottom of Hartsholme Park (see attached images). 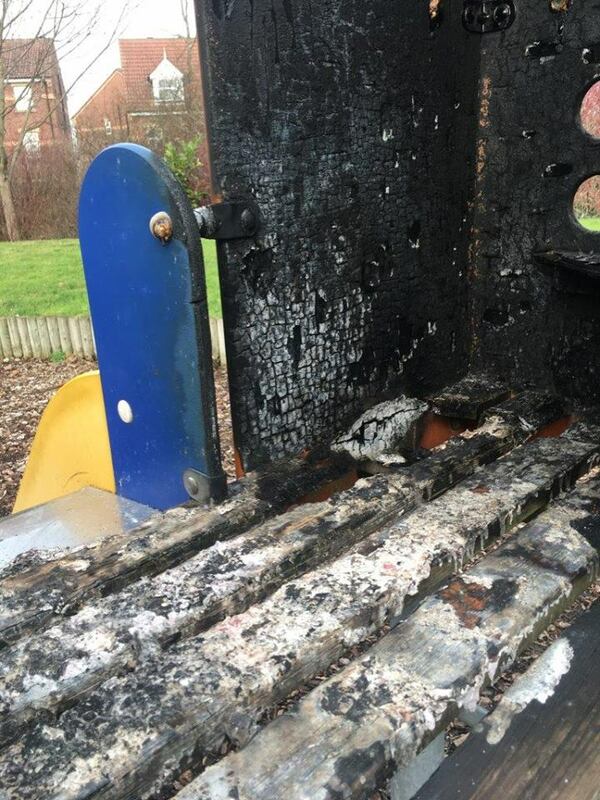 This is where 2 of the main pieces of play equipment have been set on fire. If anyone has any information in regards this please contact me (details below). 3. 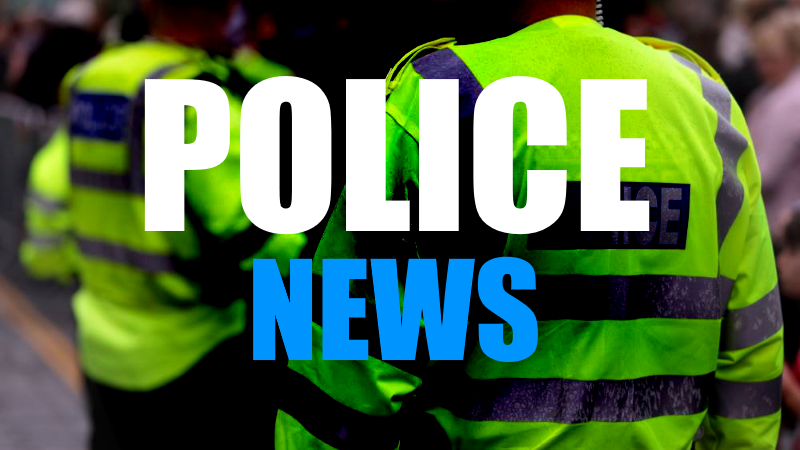 Theft from Vehicles / interference with a vehicle – I am please to inform you that we haven’t had any reports of thefts from vehicle or interference with vehicles since 09/01/2019 on the Kingswood area. Please keep up the good work in making sure that you remove all items from your vehicles and do a physical check to make sure you vehicles are secure. I will collate the Kingswood crime figures for January and hopefully send these out next week.